This entry was posted in Dueling Blog and tagged Beach, Duel, Elements, environment, Ship, USA, Water by tvo314. Bookmark the permalink. 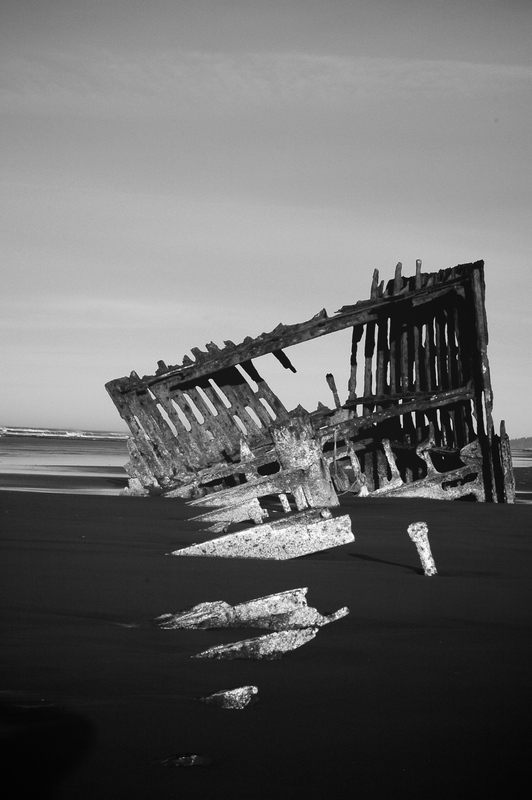 Gosh, that is a strikingly ‘stark’ photo – just leads the eye right up to the wreck .. it engages my eyes and my mind .. wonderful.. and in B&W it is perfect… seems to work well with your definition.